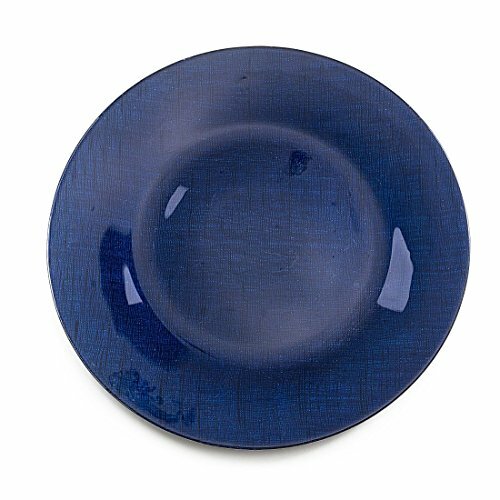 Featuring intricate designs resembling interwoven threads, our Navy Blue Metallic Mesh Glass Charger Plate 4/pack are guaranteed to spice up any rustic event. ? ?Pair these Chargers with gorgeous Silk Cherry Blossoms to complete a simple classic. Glass Chargers come in packs of 4, each measuring 13 in. in diameter.